The original LocoRoco was probably as close as to a killer app the PSP has come; exclusive, unique, reasonably innovative — a great game. Wasn’t a perfect game, however, as it had a few problems. Chief among them was the fact it played like a glorified tech demo, with very little to offer outside of a joyous control mechanism and a catchy theme song. Fast forward to 2008, and we’re presented with LocoRoco 2, the game’s long-awaited sequel, which has things a little harder than you’d think. Tinker with the perfect control scheme and you'd ruin the whole thing. Add too much to the bare-bones original and you'd ruin the game’s charming simplicity. It's a knife's edge! Let’s hum a tune while skipping through to the review, see how LocoRoco 2 shapes up. Expansion Pack: While the additions to the first game’s structure are welcome, they didn’t have to be so lazy with the rest of it. The bulk of the game – from music to menu screens to even some of the level templates – carry over from the first game. Not that this is entirely a bad thing, just would have been nice for a bit more new stuff for a game that’s been two years in the making. These days, good PSP games are hard to find. Great ones, like this, are even harder. LocoRoco 2 strikes a near-perfect balance between holding onto the key qualities of the original and making all-around improvements, and if you’re a PSP owner starved for quality, original content on your handheld, you’re mad if you don’t at least give this game a look. 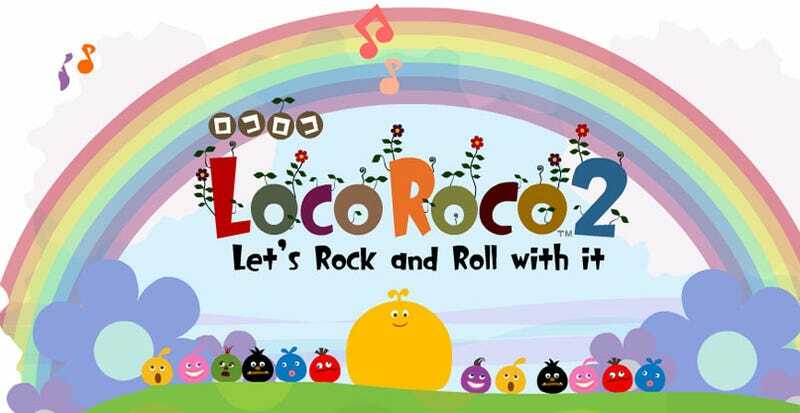 LocoRoco 2 was developed by Sony Computer Entertainment Japan, published by Sony Computer Entertainment. Released on November 21 in Europe (US release TBC). Retails for £29.99 (USD$44). Played single player story mode to completion.